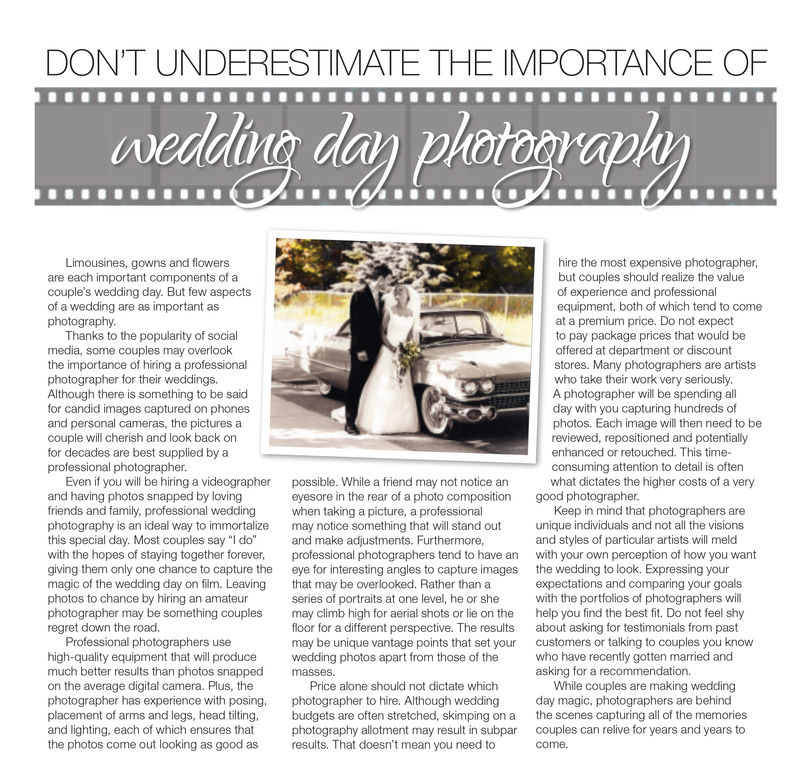 Great article from the 2014 Wedding Trends magazine outlining the importance of hiring a professional photographer for your special day. Finding the right fit for you, the couple, as every photographer is different. If we have learned nothing from our experiences both personally and professionally it is that your wedding day seems to take forever to get to, takes much time and effort to plan in an attempt to attain the dream you have always dreamed and no matter how hard you try it seems so difficult to stick to your budget. So then why spend all that money on a professional photographer? The sad reality is that when the day is done it felt like a whirlwind. Small precious moments are often left unnoticed by the bride and groom as they focus not just on themselves and the beginning of their life together but also concern for their guests hoping that they too are enjoying the fruits of their labour. That is where we come in…we are there to make sure that those special moments are captured for eternity and that those memories are not lost forever. We are so thrilled to have our ad in the Wedding Trends 2014 magazine! Check it out! !